In 1969 whilst Bryan Adams stood on his mamas porch, “with his first real six string” the sporting summer that took place in these Islands, was certainly a memorable one. I’m not sure that at eleven years of age, “they were the best days of my life”, but they certainly provided evocative memories that I can still recall vividly to this day. The sun shone all day, and you could leave your doors unlocked, terrorism had only just been invented and you could still play football in the streets. I’m sure in reality it was totally different, but nostalgia is not what it used to be. However, a pint of Guinness cost 8p, and pint of bitter around 7.5p, which sounds incredible, but when you take into account the average yearly wage amounted to £1,074, then it does put it into perspective . The average house price came in at £4,375 in 1969, a year saw Concorde’s maiden flight and the investiture of Charles, as Prince of Wales, in Caernarfon. 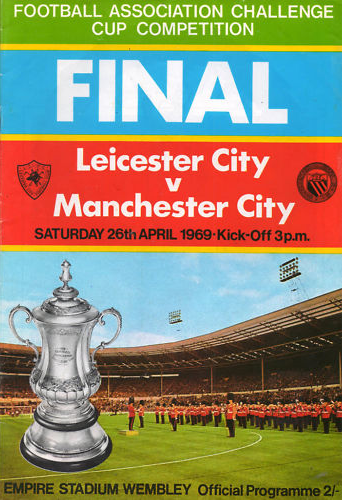 In the FA Cup Final, Manchester City beat Leicester City 1-0,at Wembley , in front of a 100,000 crowd, thanks to a Neil Young goal in the twenty-fourth minute, and whilst Neil was “over the moon” another Neil was actually on it, when on July 21 Neil Armstrong took “one small step for man, one giant leap for mankind”. 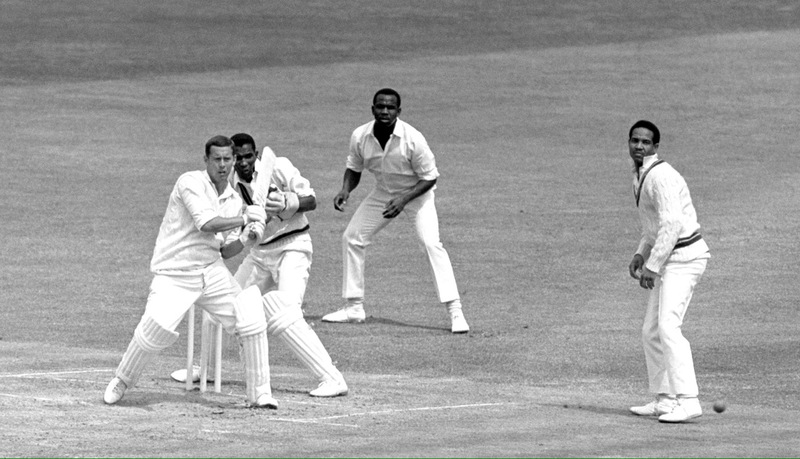 The world of cricket saw England win their three match home series against the West Indies,winning two tests and drawing one , against a side that included the great Gary Sobers. The summer of 1969 witnessed one of those great sporting rarities, a British winner at Wimbledon. With the modern-day successes of Tim Henman and Andy Murray ,it is worth recalling that a Brit reaching the second week of Wimbledon was a major cause for celebration in those days. 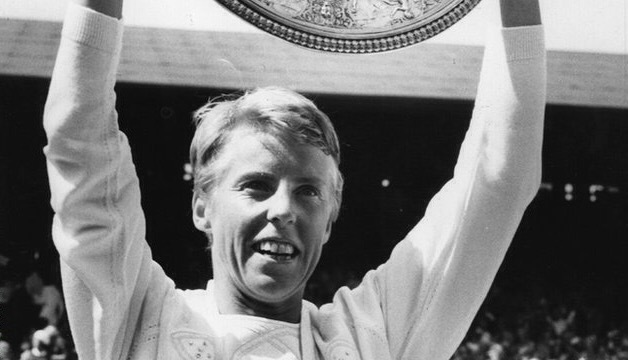 Ann Jones won the women’s singles title,beating Billie Jean King in the final 3-6 6-3 6-2 and the country went mad. 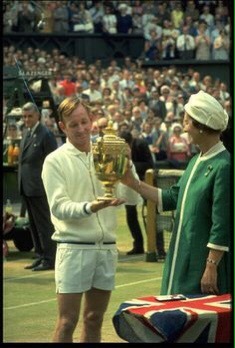 The men’s competition saw Rod Laver defeat fellow Australian John Newcombe on centre court, 6-4 5-7 6-4 6-4, it was Laver’s fourth and final Wimbledon singles title, and his tenth grand slam title overall. 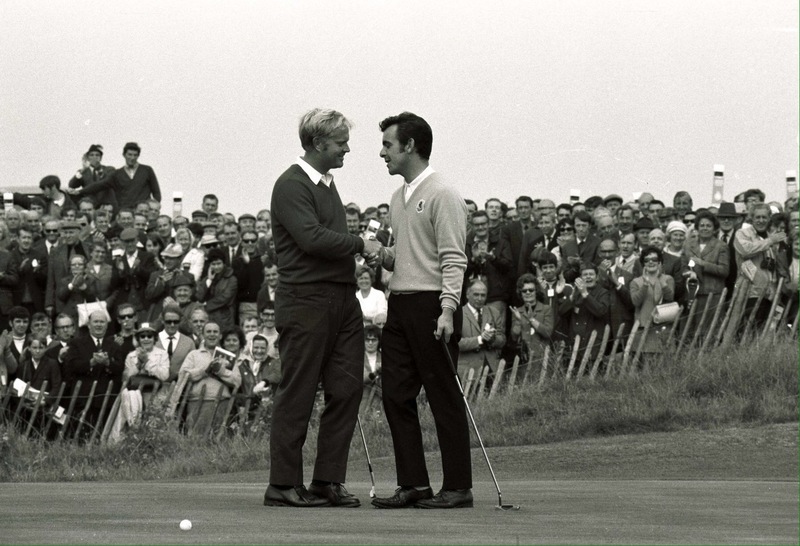 On 12 July, Tony Jacklin won the British open golf championship at Royal Lytham & St Annes ,the first Briton to do so since 1951. “Jacko” won by two shots from Bob Charles of New Zealand, which gave him the famous claret jug and a cheque for a staggering £4,250. I remember well my first golfing efforts, the only time I hit two balls in succession was when I trod on a rake in a bunker. 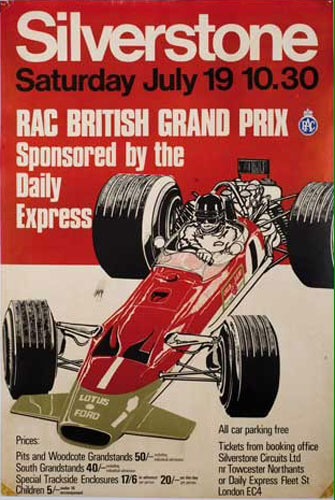 Another British success came in the British Grand Prix at Silverstone, on 19 July. However Jackie Stewart, created his own heat wave by lapping the entire field to win the race at a canter, the Scot went on to win the formula one drivers title that year. 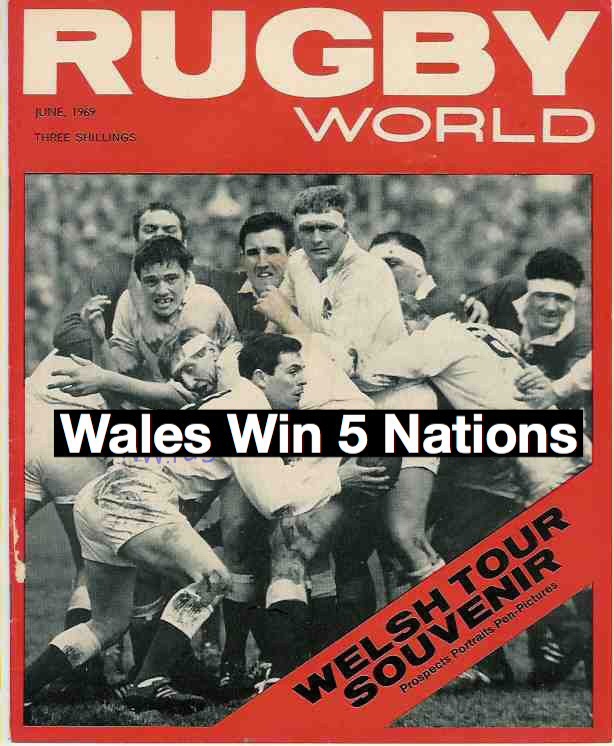 In rugby the Wales team that won the 1969 Five Nations Championship headed off to New Zealand in a confident mood , that would evaporate all too soon. Wales lost both tests to the All Blacks 19-0 and 33-12, but to their credit they beat Australia 19-16 and Fiji 31-11 visiting both countries on their way home, as part of the summer tour. 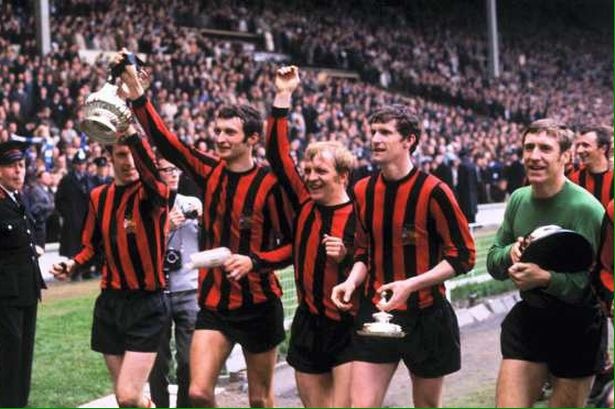 Swansea was granted city status on 3 July 1969, “and oh when I look back now, that summer seemed to last forever, maybe those were the best days of my life”.